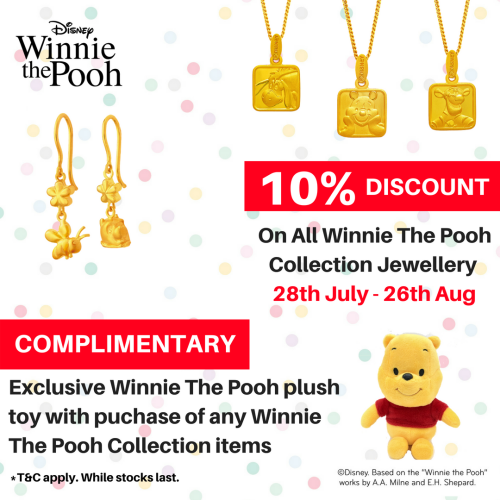 10% DISCOUNT on ALL Winnie The Pooh Collection Jewellery. FREE a complimentary Winnie The Pooh Plush Toy. *T&C apply. While stocks last*.